Labrador Computers aims to provide clients with a no nonsense, competitive, and reliable computer upgrade and repair service. We can supply you with all of your hardware requirements, or, if you prefer, supply you with a ready built system. We can also custom build a system to your own specifications. We are able to respond quickly to all requests for help, whether it is for an on site PC repair, disaster recovery, building new systems, the installation of a new sound or graphics card, or the supply of new software. 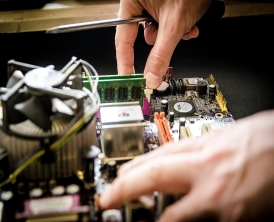 Based close to Birmingham, we are able to secure a wide variety of computer parts from a large selection of suppliers at a competitive price. For orders and enquiries please e-mail your enquiry or phone on 0121 680 9799 or mobile number 07773 277 845.